Final public hearings will be held this week regardomg two new toll lanes in each direction on Interstate 66 between the Beltway and Gainesville. These meetings are the last opportunity to weigh in on the proposed changes. WASHINGTON — Final public hearings will be held this week regarding two new toll lanes in each direction on Interstate 66 between the Beltway and Gainesville. The meetings are Monday night in Oakton, Tuesday in Centreville and Thursday in Bristow. These meetings are the last opportunity to weigh in on the detailed designs of interchanges, ramps, toll gantries, bike and pedestrian paths and more. The changes are expected to cost $3.7 billion. Groundbreaking is scheduled for next week on Nov. 20. Construction on the 22.5 mile stretch is expected to ramp up in the spring, with work planned to move forward in three separate segments; the two HOV or toll lanes in each direction next to three regular lanes should open in 2022. The lanes will be free with three or more people in a car and an E-ZPass Flex switched to HOV mode. Other drivers who use the lanes at any time will pay a toll that rises and falls based on the amount of traffic in the lanes. A separate rush-hour only conversion of I-66 inside the Beltway to HOV or toll lanes that charge solo drivers a toll in the peak direction begins Dec. 4. All drivers using toll lanes in the region are required to have an E-ZPass, whether riding for free or not. A group of private companies has completed the designs for the outside the Beltway lanes. Express Mobility Partners will also be responsible for building, operating and maintaining the new lanes. The group finalized financial funding agreements late last week, with the help of a $1.2 billion low-interest federal loan. 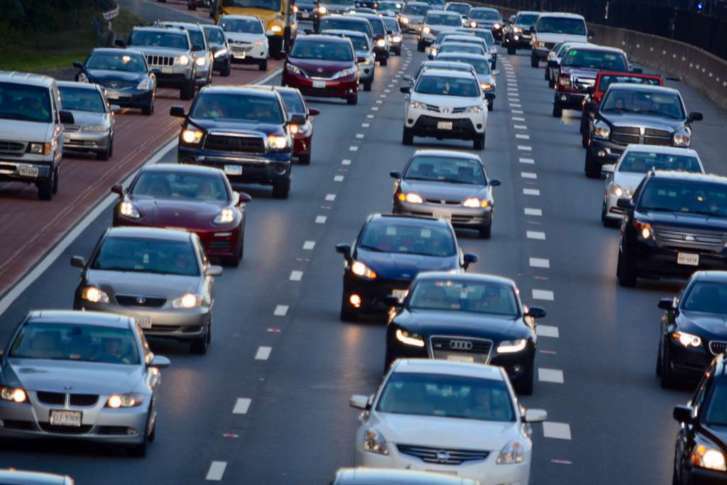 “It feels terrific, and we’re looking forward to a groundbreaking ceremony coming up … it’s a tremendous project and another step toward unlocking Northern Virginia,” Virginia Department of Transportation Commissioner Charles Kilpatrick said. “[The hearings] show people the design … of the roadway and the design features, so we’ve had conceptual work going on, but this really will give folks an opportunity to see ‘OK, how does this ramp work for me?’ or ‘Where is my house in relation to the project?’ So they’re really important meetings to give folks an opportunity to see what it’s going to look like and what we’re going to build,” he said. While the overall project is moving forward, Kilpatrick said the final hearings could still lead to small tweaks based on public feedback. “We learn a lot from these public hearings, sometimes they’re fairly small in terms of changes to the footprint, but they might be huge changes for an individual citizen, especially if they own property near the roadway,” Kilpatrick said. In addition to the public hearings, written comments can be submitted through Nov. 29 to transform66@vdot.Virginia.gov. VDOT asks that emails include “Transform 66 Outside the Beltway” in the subject line. Comments can also be submitted via traditional mail addressed to Susan Shaw, P.E., Megaprojects Director at VDOT’s Northern Virginia District Office at 4975 Alliance Drive, Fairfax, VA 22030.